$649 – Couples Early Bird. We will build a lime mortared foundation suitable for a cob structure. We encourage participants to work at a pace comfortable for you as you learn to choose suitable stones to piece together the puzzle that will become the foundation. You will learn everything you need to know to build a lime mortar foundation for a building, including site selection, drainage, using lime, choosing materials, and utility access. 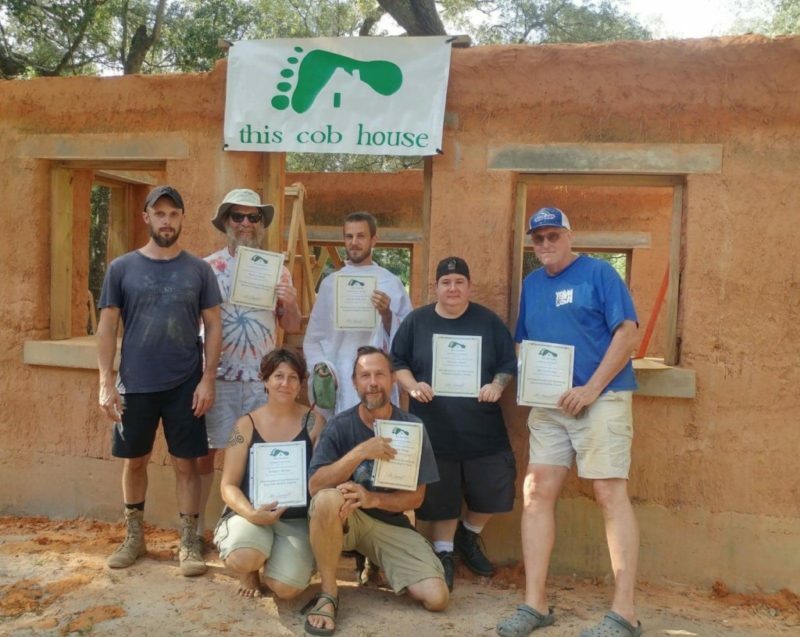 Building Cob Walls During this part of the workshop we will learn how to build cob walls, and ‘learn by doing’ as we: – Choose materials and mix cob. 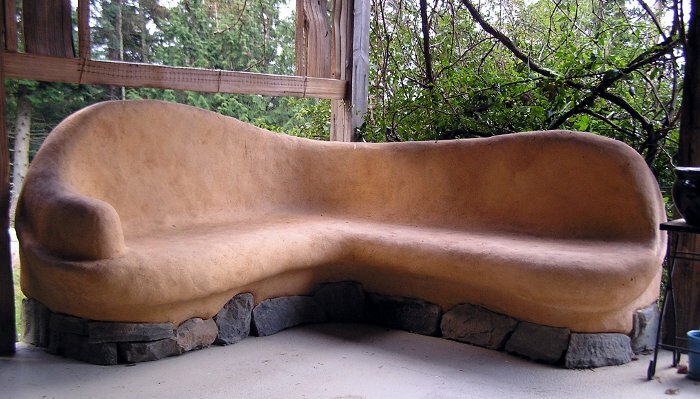 – Build cob with forms and free form – Trim & shape walls using a cob saw – Make corbel cob for sculpted elements. 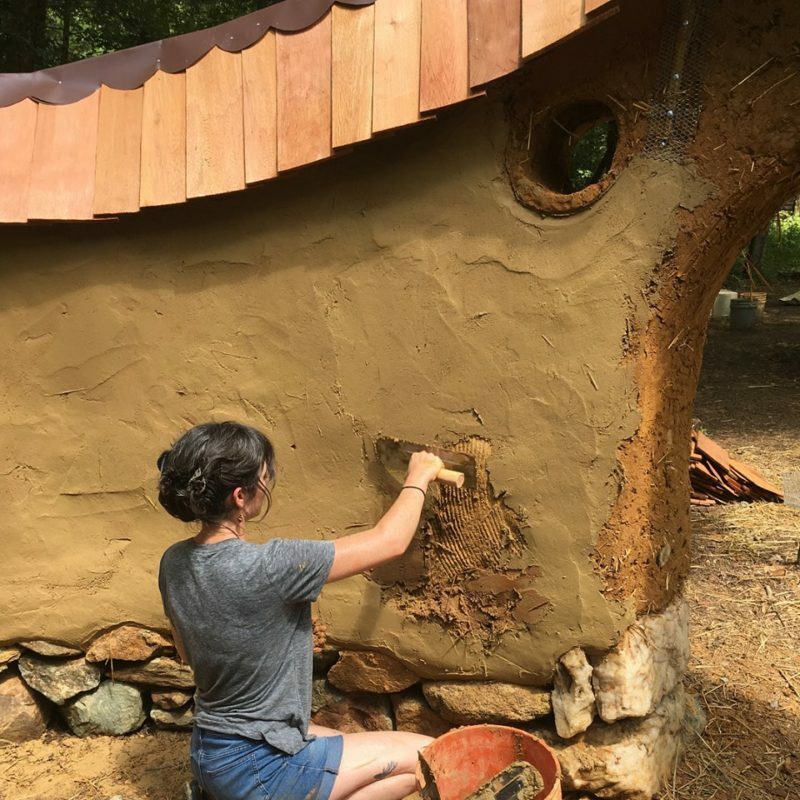 We will cover just about every aspect of building cob walls including, site selection and passive solar design, building your home on a solid foundation, sourcing materials for a good cob mix, setting windows and doors, and placing anchors in cob walls for the roof. – We will start each day with breakfast, & begin building at 8:00. 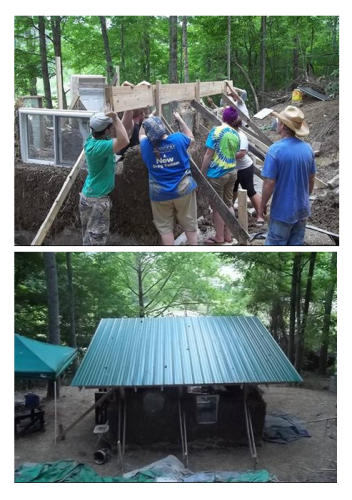 We will break for lunch at 12:00, & work will end at 5:00.- We suggest out of town guests, as well as local folks, to arrive the night before to set up camp.- We will eat three meals a day together every day for each day of the workshop.